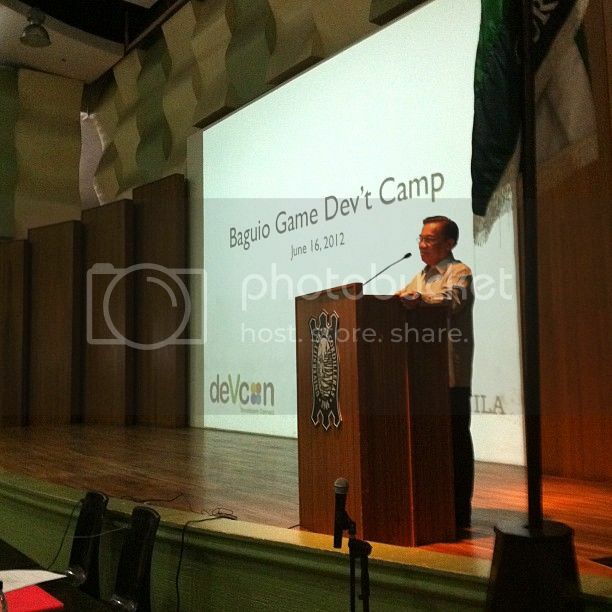 So last June 16-17, 2012, the DevCon and IGDA-Manila teams traveled to Baguio to conduct Game Development Camp-Baguio at University of the Cordilleras, Baguio City. On the first day (June 16), the program started 1PM at the university auditorium with full 250 participants. Dr. Ricardo P. Pama, UC President graced the event with his insightful opening remarks. 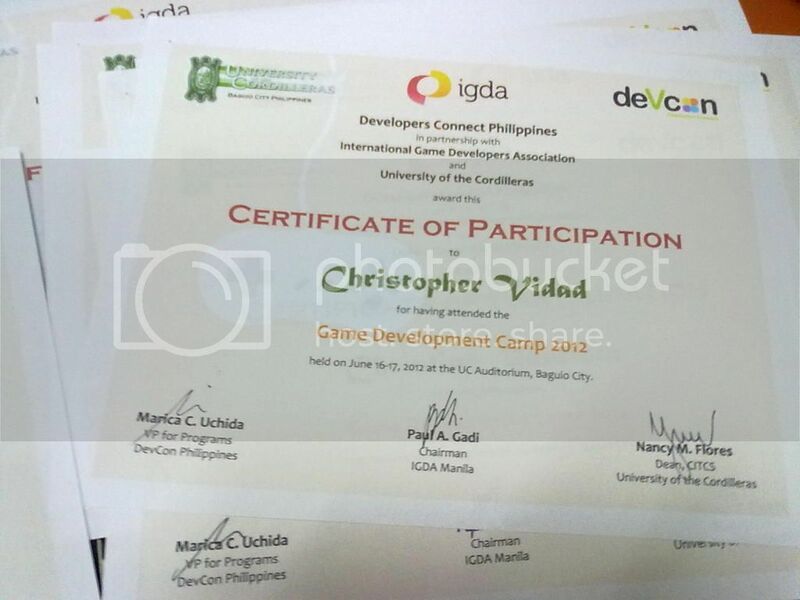 It was followed by a background talk on DevCon and International Game Developers Association (IGDA). 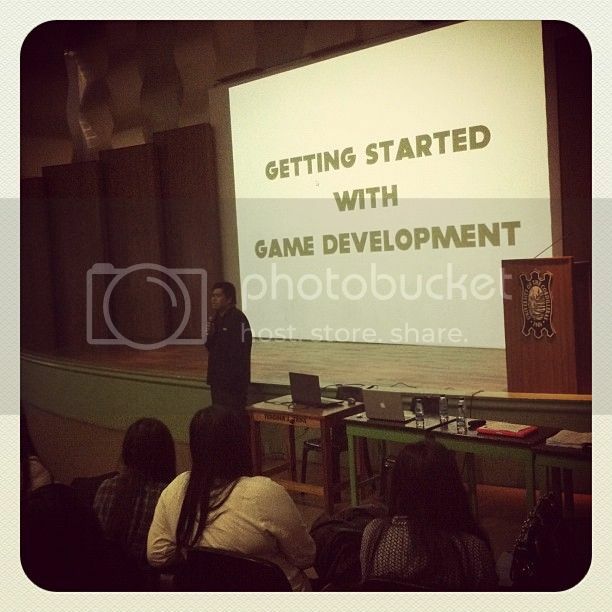 The rest of the program were presentations from IGDA: Mark on Getting Started With Game Development, Paul Gadi (IGDA-Manila Chapter Coordinator) on Making Art for Games, Alvin Chan on Game Development Patterns, Sony Valdez (also a UC Instructor) on Programming Games With Pygame. Bryan Bibat, DevCon VP for Technology hosted the afternoon program. On the second day(June 17) was the technical session on how to develop a game using Flash/Unity3D. To accommodate the unexpected number of interested participants, we decided to divide them to morning and afternoon sessions. Big thanks to GDC Baguio participants for joining the camp! Hope you had great learning and fun! Also thanks to UC being our awesome host and campus partner for the event! Special thanks to Ma'am Nancy Flores, Dean of CITCS for the super warm accommodation and assistance all throughout the event. She even gave each of us (DevCon-IGDA team) Baguio Country Club Raisin Bread! 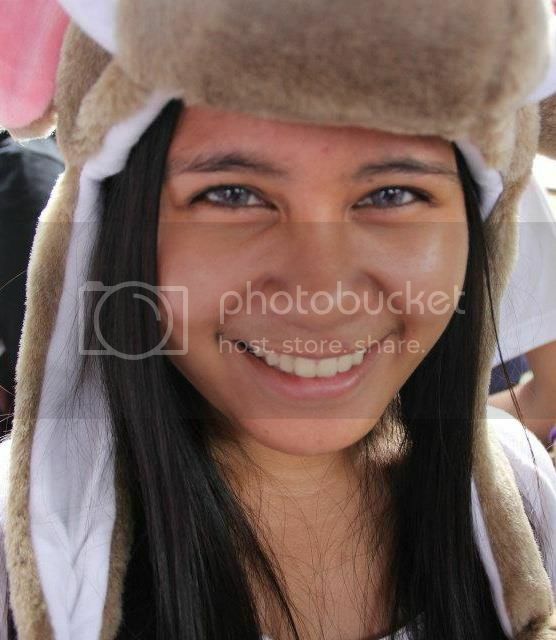 To Marica, Bryan, Paul, Alvin and Mark, you guys were awesome! Until the next event!